With the emergence of Virtual Learning Environments (VLE) in the educational context, the teaching forms are undergoing transformations, both for distance and presential learning. The growing use of VLE and the acceptance of this technology, its behavior and its success is directly related to its adoption by teachers and students. The technology adoption has been studied in recent decades, and many analysis models have been proposed. This study is based on the Unified Theory of Acceptance and Use of Technology model, that is an attempt at an assembly of constructs from other theories and models. However, this model still has not addressed gaps and not discussed issues when applied to some contexts. 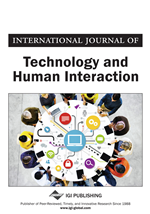 This article aims to propose an extension of UTAUT model for analysis of VLE adoption as support to presential learning, including new elements such as interactivity, monitoring and continuity of use. With the advances in Information and Communication Technologies (ICT), the benefits are also extended to innovative methods of teaching and learning such as, for example, the use of computers and the Internet. This enabled the use of those resources and tools not only in distance learning but also as a support for presential learning. This technological platform is called Virtual Learning Environment (VLE), and it supports the educational process in which teacher and student are physically separated but connected through information and communication technologies. The introduction of (VLE) and other forms of e-learning have brought advantages for teaching in universities and help cross the boundaries of time and space. However, the success of these new technologies depends largely on the acceptance and use of both teacher and student of these environments. (Ramos & Oliveira, 2012). According to Pereira (2007), VLEs are increasingly being used in academic and corporate environments as a technological option to meet an educational demand. Starting from this, it is needed a more critical understanding of the concept that guides the development or use of these environments, as well as the kind of human and technological structures that supports the teaching-learning process. The acceptance and use of new technologies have been studied over the past three decades, and many technology acceptance models have been created, such as the Technology Acceptance Model - TAM, Innovation Diffusion Theory - IDT and, more recently, the Unified Theory of Acceptance and Use of Technology - UTAUT, among others. This study is based on the Unified Theory of Acceptance and Use of Technology - UTAUT, a theory of methodological integration that presents higher predictive capability than earlier models (Leal et al, 2011). According to Li and Kishore (2006), the UTAUT provide one of the most comprehensive models of technology acceptance and should be used extensively for this purpose. Bobsin, Visentini and Rech (2009) state that there is an unanimity among studies using this model as a reference for analyzing information technology acceptance. According to the authors, the analysis objects of these studies vary widely, with some trend of studies related to mobile technologies and virtual environments, but it is not possible to make generalizations. A study conducted by Nogueira (2014) pointed out that much of the most significant research about technology adoption comes from Information Systems field, being developed by Davis (1989) and Venkatesh (2003), and from Social Psychology models such as Theory of Reasoned Action (Fishbein & Ajzen, 1975), as for example, Technology Acceptance Model - TAM (Davis, 1989) and Unified of Acceptance and Use of Technology - UTAUT (Venkatesh et al., 2003). Considering the different approaches, it is made a tentative of take in consideration the contributions of these theories in this study that brought part of UTAUT model (Venkatesh et al., 2003) as a reference model and incorporated the interactivity, monitoring and continuity of use elements. The option to extend the UTAUT model is justified, since it was created for a generic analysis approach, specifically related to the application in enterprise environment. According to Ibrahim, Khalil, and Jaafar (2011), depending on the context, it is needed to add new variables. So, we sought in this study the suitability of the model for the teaching process, with the use of VLE as a tool for supporting presential learning.